Metrically graceful and subtly rhymed, William Conelly’s debut collection Uncontested Grounds (Able Muse Press, 2014), offers the reader many lyric pleasures in poems which are, by turns, amorous and dreamy, witty and funny, erudite but always approachable. The poems are laced with some surprising turns of syntax and diction that throw the reader into enjoyable confusion every now and then. In an unusual touch, the collection includes five somewhat surrealistic illustrations that illuminate certain poems. The collection, which represents forty-five years of the poet’s achievement, was a finalist for the Able Muse Book Award. that bees pervaded by a window crack. The poem is written in quintets and adheres throughout (sometimes loosely) to its rhyme scheme. The oddness of the phrasing and syntactical inversions nicely disrupt the reader’s expectations for conventionally ordered sentences. A bed accepts us when the wind will not. our thought rejoins whatever dream it serves. I admire the balance and sanity of the poems in Uncontested Grounds and Conelly’s learned yet modest voice. The poems have their disturbing moments, but they also possess grace and gentility, offering one a most satisfying read. Where’d You Go Bernadette, is both the title and the question around which everything revolves in Maria Semple’s ambitious second novel. Semple spent over ten years writing comedy for television before breaking into writing novels, and those sensibilities that served her so well in television are definitely on display in Bernadette. Based solely on the title, one might easily assume they were holding a mystery in their hands, but Semple’s novel resists easy classification, blending trace elements of mystery with comedy and satire. Instead of a traditional narrative, Semple chooses a contemporary (text messages, emails, transcriptions of digital voice recordings) version of the epistolary form, giving us a novel that is told almost entirely in short, first-person narratives. I don’t need chard. I need you to pay your bill. Otherwise, I will have to start lien proceedings. This is so much more effective than one character reading the note to another for the same reason that a joke loses its humor when it has to be explained. Audrey! I’m…in an Internet café in South America,, and this keypoard is so dirty and sticky and HORRIPLE and the P makes a B and the B makes a P and the comma sticks and you have to immediately hit packsbace or else the whole email will pe commas! I’d fix the p’s and b’s put they’re charging me py the minute and they don’t take credit cards and I had only 20 besos. DR. KURTZ: How about we put a pin in love, and let’s move on to the damage that Bernadette’s behavior has caused. BRANCH: Are you joking? The damage she has caused? FOX: I know the damage. DETECTIVE DRISCOLL: Don’t look at me. DR. KURTZ: Let me check my notes. DR. KURTZ: The guarantee of support! The story opens with Bernadette’s daughter, Bee, asking her parents for a family trip to the Antarctic – a reward for several years of straight A’s. Unable to come up with a good reason not to go, her parents agree to the trip. This seemingly benign conversation switches a toggle within Bernadette, sending her into a downward spiral of social anxiety, introversion, and depression. She finds herself unable to cope with the idea of traveling to the bottom of the world, trapped on a boat, no matter how large or small, with so many people and nowhere for her to escape to. Living in fear of this imminent trip, Bernadette outsources all preparation to her virtual assistant, Manjula – a false identity for a nameless, faceless member of the Russian Mafia. Bernadette has a history of running away, literally and figuratively, when she becomes overwhelmed. Years earlier, in Los Angeles, after the destruction of her most famous architectural achievement, the “Twenty Mile House” (a mansion made entirely from materials within a twenty-mile radius), she turned her back on a promising career and fled Los Angeles without telling anyone where she was going. Now in Seattle, where most of the novel takes place, she sinks deeper into depression, continuing to retreat from everyone, including her family, by spending time alone in a trailer parked on the side of her enormous house. DR. KURTZ: This is the only door she could have… where does it lead? BRANCH: The basement. We never open it. It’s overgrown with blackberries. Detective, could you help? DR. KURTZ: Oh, God, the smell. DR. KURTZ: What is that? Mr. Branch did not make it far into the basement before he fell into the blackberry brambles. In Bee’s pursuit of answers, Semple’s innovative novel takes a sometimes comic and sometimes painfully honest look at contemporary American life, revealing what may be one of the greatest universal truths of the human condition: We’re all a little ridiculous. The poems in From the Fire Hills by Chad Davidson weave together remembrances of travels in Italy with recollections of a California boyhood. Singeing almost every page of these finely wrought poems are references to fire, ash, and destruction. This is one of the most graceful and satisfyingly unified collections I have encountered. After recognizing the poet’s touchstones, I looked forward to seeing how Davidson would treat me to more of the splendors of Italy and swimming pools of California. I was rewarded with scenes at once beautiful, comic, and frightening. In "Aerial,” a forest fire rages in the background as a wedding party proceeds: relatives get tossed into the swimming pool as ash flutters down. “California was like that: / admixture of fear and celebration.” Love and death again comingle in “Lovers in the Capuchin Crypt.” Davidson describes this site in Rome with its sculptures of monks’ bones, brown with age and decay. He glimpses lovers kissing amidst the lugubrious art as the woman at the postcard concession scolds a tourist who tries to photograph the bones. But “she says nothing to the lovers staring deep / into the ignorance of where they are headed, / an afternoon blur, wearing those outrageous colors.” Death is never far in these poems. Chad Davidson is the author of two previous collections of poems, Consolation Miracle and The Last Predicta, and co-author of two literature textbooks. He teaches at the University of West Georgia (Carrollton). A writer who relishes learning, exploration, and travel, he is also a poet for whom even the smallest things are steeped in importance. I stand in front of history and feel nothing. Art, even crumbling art, calls him to higher things, here, aptly, his own shortcomings. I particularly admire Davidson’s gift for simile and metaphor. He describes his “beginning Italian,” as “a wounded machine / sputtering its declensions” and sees the waviness of an “eel’s soft suture / in water’s skin.” Women enter a dress shop, “purses slung over // their shoulders like recent kills.” If I had a small quibble with any of the poems it would be that some of the endings reach for grand ambiguities that I can’t quite grasp. I fully appreciate, however, that those endings might resonate with other readers. Throughout all the fire, ash, and destruction, the poet forges ahead in the direction of beauty, love, and life. The final poem, “Exile,” describes a traveler’s return to the States, on a jet that seems to have the ability to “split open the sky and stop clocks.” The poet concludes, “I only want the clock to keep going.” Gently serious, learned but also friendly and never ostentatious, these poems offer countless deep, satisfying, lovely moments. George Bilgere’s Imperial gives me a rare pleasure: poems as open as windows. Filled with humor, love, and pain these poems are learned but not ostentatiously so. Think Garrison Keillor and Ted Kooser, both of whom have showcased many of Bilgere’s poems, and you will recognize the key of this poet’s clear, sincere, friendly yet serious voice. Bilgere writes of the warmth (and sometimes the strife) of marriage, of the highs and lows of the academic life, the mortal concerns of midlife, and of his 1950s and 1960s Midwestern boyhood, its innocence sometimes threatened by a father’s alcoholism. The ironically high-sounding title of the collection refers to a poem about the Duncan Imperial Yo-Yo, a technologically improved spinner—“a yo-yo fit for a queen!”—which allows kids to perform advanced tricks such as Flying Saucer and Over the Falls. In the poem Bilgere counterpoints the children’s yo-yo play with news of the Cold War and the Bomb. Imperial is George Bilgere’s sixth poetry collection. The poet, who teaches at John Carroll University, has won the Autumn House Poetry Prize for The White Museum and the University of Akron Poetry Prize for The Good Kiss (judge, Billy Collins). Bilgere’s many other honors include grants from the NEA and Fulbright Commission. He even hosts a talk show about poetry on his university’s radio station. Often Bilgere’s poems begin with a small incident and then expand to something larger. “Musial,” which stars the St. Louis Cardinals baseball great Stan Musial, recounts a tale in which the poet’s father, a hard-drinking car dealer, sells a Chevy to Stan the Man. The sale, which Bilgere hints may have been more fiction than truth, elevates the dad and his audience at the dealership, “for an instant each man there / knew himself a part of something / suddenly immense.” A poem about marital quarreling, also begins with the small, “At dinner (her very good pork chops)/she says something just the tiniest bit critical of me.” Even as they engage moments that sometimes sting, Bilgere’s poems convey respect for human vulnerability and, above all, a sense of love. Even the poems about loss, give us page after page of radiant moments. 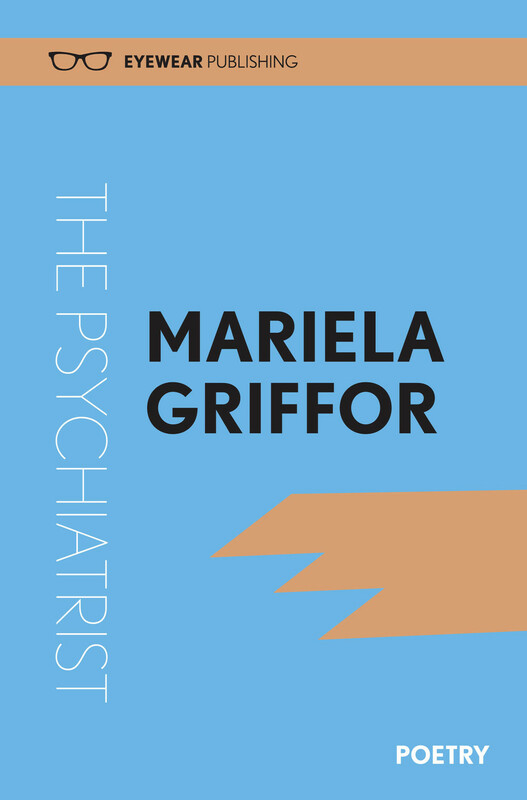 Near the end of Mariela Griffor’s powerful collection of poems, The Psychiatrist (Eyewear Publishing Ltd, 2013), readers learn of a woman’s promise from the narrator’s point of view to her lover to leave Chile “if we ever had/ a child, and if he was not there” (“Chiloe Island”). The personal promise explains a lot about the sense of heartbreak that lingers throughout the poems and about Griffor’s restraint in presenting a history of Pinochet tyranny. The relatively late revelation isn’t a ruse to keep readers in mystery but evidence of the author’s artistic decision to keep the difficult and complex events leading up to and after her exile just as they were. Lesser writers may have been unable to restrain themselves from giving readers a handle early—this is my story. I was victim, hero. The heartbreak in Griffor’s poetry is deeper than one person’s; she speaks for a country’s grief. It is only right that the reasons for her own grief are delayed. The style of the poems is the style of memory. Griffor’s stanzas and lines with their necessary abstractions, as in “My mind is futile” and “I learned/ their laughter before code names,” and intense sensory notation are not placed for rhetorical convenience but as they might occur while musing aloud. As Griffor invents the “new sounds, new men, new women” to tell the story of the war waged by Pinochet and his followers on Chile’s “own sons and daughters,” her poems bend and extend to accommodate the different dimensions and perspectives of idealism, insurgency, betrayal, brutal policy, grief, and secrecy that the book explores. The poems present the coup and changing allegiances, the torturers—“Romero, Quezada, Coleman”—the “group” of leftists she was a part of, the codes and secrecy, and American complicity. There are poems, too, about family ties, of innocence and difficulty, of love in the time of strife, and death—by bullets and for one friend, Mauricio, by an addiction to Lucky Strikes, described in “Death in Argentina” as an irony. The topics are affecting in their own right, but Griffor’s strength is in the surprising intensity of her details. “Sometimes I drink water from the faucet,” she recalls telling Mauricio to temper the fantasy about her she knows he has developed. The detail and the motive for her telling him seem absolutely real, but there is something else about the line—the ungainliness and modest impropriety that we also recognize as real that intensifies the image. As I walk through Behm-Steinberg’s The Opposite of Work, I encounter that which can only be defined through opposition. The art of unknowing is reinvented here, the end result is out of the question, and the search for place, purpose and new beginnings leads to an expedition across the great human desert where "the sun has a part that traps you " and where time was invented by sea monsters who "took one sea monster / out of themselves and pointed / to her head and said / this is now / and to her back said / that is then." The Opposite of Work imagistically hypnotizes the reader into giving up control—allowing the end to remain out of reach and pulling us through, fearlessly, for this book is not a thing to be acted upon but rather a thing that stretches the reader in all directions at once. There is divinity at play here, which may be considered a risk for authors everywhere, an indulgence. Behm-Steinberg, however, allows nature to splay itself into a cosmically woven pattern. His intentions are pure, as this book does not set out to unmask heaven, rather it serves as a witness to angels exposing their light through everyday song and more importantly through our own connections to each other. of crossing through this process, but never myself having to leave. Then the angels looked down and they make us perceive each other. What was unknown becomes patterned. just as they are born, because you introduce divinity to the world. This is also where I would normally fight the urge to misinterpret the relationship between text and image, spatial art and temporal art and apply my own love for analyzing new poetic dimensions that probably don’t really exist. This is the greatest reward in experiencing Behm-Steinberg’s book. The freedom present within this type of intrinsic skin is something that was created out of the very same fabric, a thing that could be contained no longer. I am reminded of the cliché “beauty is in the eye of the beholder” here or, “we don’t see things for what they are, but as we are ourselves.” When I look back upon The Opposite of Work, I don’t see this text for what it is, but as a thing poetry strives to be, an effortless gaze into poetry’s grand entrance into the age of technology where hypertext encourages us to be active readers as opposed to reactive readers. Think back to the post-structuralism’s own Ronald Barthes, who in his book S/Z teaches us the very same thing Behm-Steinberg has pulled off with such nonchalance: the difference between a readerly text and a writerly text. As a readerly text favors the reader as a mere consumer, the writerly text demands the reader be able to work things out, to be equal parts reader and producer of the text. There aren't many books out there that speak to the deeper constructions of ourselves and the universe around us in such a way that we leave the text more knowledgeable, yet more lost in where to place that knowledge. Cloud of Ink is just such a book. In conclusion, the lights go out; the soul is denuded. All of this after the woman gasses the house. Klatt’s constant movement, the vibrating lines and imagery are truly remarkable. Klatt is a master of clarity within the deep image, the pacing, and connection. He elegantly renders images next to one another, revealing at once their alarmingly existential differences and similarities, ultimately creating a type of meaning engine that charges the imagination. It’s a book for those who want to see beyond the real and into the surreal, or better said, to inhabit the surreal within the real, a core within the deeper subconscious which is—despite its phantasmagorias and hyperconnectivity— well aware of structure both in poetic form and in the physics of reality. This collection is awake, inspired and strange in the best sense of strange. Full of crisp diction and movement, these poems tumble downhill, gaining momentum until they reach the valley floor where they spread out their arms into an impossible balance only to reach back up toward the sky, to shout in a language we've never heard before, yet a language in which we recognize our own directionless trajectory in a journey from nowhere to everywhere. WILLIAM CONELLY followed his father into the military. He later reconsidered, resigned, and took a Master’s Degree under the distinguished American poet Edgar Bowers. After stints in transport and financial services, sales and commercial writing, Conelly returned to the academy in 2000, where, by turns, he has served as an associate professor, a tutor, and an instructor of creative writing. His poetry has been published in Iota, The Lyric, Measure, Pebble Lake Review, Pleiades, Poetry Durham, Poetry Porch, and elsewhere. He is a dual citizen of the US and the UK and maintains a permanent residence in the West Midlands town of Warwick. He is married with three grown sons. Uncontested Grounds was a finalist for the 2013 Able Muse Book Award. LYNN LEVIN is a poet, writer, translator, and teacher. She is the author of six books. Her most recent books are a translation from the Spanish, Birds on the Kiswar Tree (2Leaf Press), poems by the Peruvian Andean poet Odi Gonzales; Miss Plastique (Ragged Sky Press), a finalist in poetry in the 2014 Next Generation Indie Book Awards; and, as co-author, Poems for the Writing: Prompts for Poets (Texture Press), a finalist in education/academic in the 2014 Next Generation Indie Book Awards. The recipient of twelve Pushcart Prize nominations, Lynn Levin teaches at the University of Pennsylvania and Drexel University. Her website is: www.lynnlevinpoet.com. MARIA SEMPLE spent fifteen years writing good television shows such as Beverly Hills, 90210, Ellen, Mad About You, and Arrested Development. And bad shows you’ll have to look elsewhere to find. After having a baby, she quit television and finally gave novel-writing a try. This One Is Mine was published by Little, Brown in December 2008. Maria, her boyfriend and daughter moved to Seattle where her new novel, Where’d You Go, Bernadette, begins. Maria loves living in Seattle – thank you for asking – where she teaches writing, studies poetry and tries, with mixed results, to stay off the internet. TIM HATCH lives in a secret volcano headquarters somewhere in the South Pacific, where he controls the world economy, traffics in black-market firearms, and writes confessional poetry about his disappointing childhood. His poetry has been published in MungBeing, East Jasmine Review, The Pacific Review, The Vehicle, Touch: The Journal Of Healing, Apeiron Review, and he was the recipient of the 2014 Felix Valdez Award. CHAD DAVIDSON is an associate professor of English at the University of West Georgia (Carrollton). His previous poetry collections include Consolation Miracle and The Last Predicta (both with Southern Illinois University Press). He has co-authored, with Gregory Fraser, two textbooks: Writing Poetry: Creative and Critical Approaches (Palgrave Macmillan) and Analyze Anything: A Guide to Critical Reading and Writing (Bloomsbury). His poems, reviews, translations, and essays have appeared in AGNI, Boston Review, Chicago Review, Paris Review, Ploughshares, Prairie Schooner, Virginia Quarterly Review, and The Writer’s Chronicle. GEORGE BILGERE is the author of five previous books of poetry, including The White Museum (Autumn House) and The Good Kiss (University of Akron Press). He has won numerous awards, including the Midland Authors Award, the May Swenson Poetry Award, and a Pushcart Prize and has received grants from the Witter Bynner Foundation, the NEA, the Fulbright, and the Ohio Arts Council. His poems have appeared widely including Poetry, Ploughshares, Kenyon Review, Fulcrum, and the Best American Poetry series. LYNN LEVIN is a poet, writer, translator, and teacher. She is the author of six books, most recently: Miss Plastique (Ragged Sky Press) and Poems for the Writing: Prompts for Poets (co-author Valerie Fox, Texture Press)—both of which were 2014 Next Generation Indie Book Awards finalists—and a translation from the Spanish, Birds on the Kiswar Tree (2Leaf Press) by the Peruvian Andean poet Odi Gonzales. She teaches at the University of Pennsylvania and Drexel University. www.lynnlevinpoet.com. Chilean poet, MARIELA GRIFFOR, is the author of Exiliana (2006) and House (2007) as well as the translator of Pablo Neruda’s masterpiece Canto General (Tupelo Press, 2015), and Desolation by Gabriela Mistral. She lives in Michigan where she is the founder and editor of Marick Press and the Honorary Consul of Chile for the state of Michigan. She holds a B.A in Journalism from Wayne State University and M.F.A. in Creative Writing from New England College. CAROL FROST's twelfth book of poems, Trilogy, is forthcoming in the fall (Tupelo Press, 2014). Others of her books include Pure, Love and Scorn, and Honeycomb. Four Pushcart Prize anthologies have reprinted her poems, and she has been the recipient of two NEA fellowships. She is the Theodore Bruce and Barbara Lawrence Alfond Professor of English at Rollins College, where she directs the yearly literary festival, Winter With the Writers. Hugh Behm–Steinberg is a former Wallace Stegner Fellow in creative writing at Stanford University and the recipient of an NEA fellowship. His books include The Opposite of Work (JackLeg Press) and Shy Green Fields (No Tell Books), as well as several chapbooks including Sorcery (Dusie Chapbook Kollektiv) and Good Morning! (Deconstructed Artichoke Press). He teaches writing at California College of the Arts, where he edits the journal Eleven Eleven. S.Marie Clay is the author of the book Strange Couple from the Land of Dot and Line (Orange Monkey Publishing, 2014). Her poetry has been featured in Phoebe, Eleven Eleven, Drunken Boat, Columbia Poetry Review, Ghost Town and others. She is the founder and editor-in-chief of Black Tongue Review and earned her MFA from Columbia, Chicago, where she was a Follett Merit Fellow. “The Auroras” by David St. John opens the door to a space somewhere between heaven and earth, somewhere between the soul and the body. The speakers in his poems range from deep philosophical thinkers who ask, “What is the ‘beautiful,’ what is the ‘lost’ and what lives still, just at the edge of the sound of the trees?” To simple men settling back, being content and “happy to be no one” knowing “that boy is my son and I am his only father.” These speakers span the experience of what it is to live on this peculiar planet where one day can have us satisfied by the small, puzzled by the grandiose, and anchored by the physical world around us. In fact the three denotative definitions of the title word ‘Aurora’ canvas the multiple modes of living explored in St. John’s work. The first ‘Aurora’ is the Roman goddess of dawn, whom represents the search for spiritual truths and connections in St. John’s work. The second definition is an atmospheric phenomenon consisting of bands of light caused by changed solar particles, which exemplifies the need for probing the deep questions in life (in science, philosophy, etc.) in the collection. Finally, the third definition connects us back to our physical, sensual experience of the world, ‘aurora’ as the first light of day. St. John’s speakers span all of these realms of life and beyond that, the range seems to be making a comment on what a poem really is, folding in this tri-fold experience to each one, a wrestle between the big and small. Between experience, thought, and sound. Between the head, heart, and body—a world in a line. Though St. John’s poetry enters deep realms of thought on spirituality, death, and purpose, he roots everything back into a conversational tone around a dinner table amongst friends who each have their own story. Never forgetting he is human, his poetry “walks quietly toward the inexplicable to keep present the object,” the now, the tangible, the present moment. Perhaps it is not necessary to let loose all that is contained, but to instead examine it in the spaces and time you are given. Laura Kasischke's Space, in Chains mournfully celebrates those questions that most often go unanswered. Kasischke's poems revisit the past, reacting to the customs that remain, sad and awkward, and yet still communicating a crisp attentiveness that refuses compromise. Time and time and time becomes more than a moment or an object but the backdrop for what is happening within it. A father's dementia provides a moment to consider memory and loss. A daughter looks on as, "his boat, the Unsinkable, waits marooned on the shore." With gestures that seek to injure and then rebuild, to step alongside you as you grow up, it is regret that seems to be an earnestly avoided ending. Evoking this finality, that perhaps there is no right way to see or feel or even express those things which often display themselves elusively among us, but instead trying is what so much building is for. It doesn't so much matter that constructing temples "out of cobwebs" may seem purposeless; as in life, we build only to be one day destroyed. So too, Kasischke's poems, whose variations guide her vivid gatherings, alter each component of American life today, piecing together time to fit and fall collectively and then apart. Because it is the acceptance of tattered endings that leave an emptiness that can count for something. Kasischke pushes forward, while looking back, to a place where new identities are not only possible but inevitable. It is in the "center of the earth where the dim rooms of our ancestors flicker" that we might find the heart that moves us forward. What can be seen as new identity may sometimes feel indistinguishable, yet Kasischke utilizes these places, constructing them with visceral strangeness and haunting imagery. Each poem speeds up and then stands still, like those "impatient immortals / sighing and fidgeting in an unmoving line." Sweetie, don't be gone too long. When reading Kasischke's phrases there seems to be an intended sense of elation, even alarm, so that watching a mother "disintegrate before a mirror" gives more than it takes away. Accumulating such strangeness from memory, and then pushing forward, produces elements of nostalgia and loss transposed against the inevitability and confines in time. And yet there is a simplicity that gains momentum. Kasischke appreciates the fundamentality of life and its patterns but has found an unusual means for which to express the hidden peculiarities of the mundane. She shows us that sometimes honesty is ugly and that it might just need a little melodrama, but it's worth it in the end to touch it all, because each "bird / with one wing," or "damp bag of paperbacks and expired medications," or "white sack filled with black feathers" contains both the volume and resignation of wisdom.